Hats off to our youngest Entered Apprentices (EA’s, left to right front row) Brother Chris Ndife, Brother James Williams, and Brother Dustin Heath – welcome to the fraternity! Also great work by Daniel Nealy, MM for performing the WM degree work. Excellent lecture work by Mike Power, PM, Richard Hurwitz PM, and David Hosler, MM from Battle Ground Lodge #313. Kudos to Wilfredo Geronimo, JW for assembling the craft, and opening the degree. Wages were paid to SD Neil Helwig, Phil Philip Gumm and James Buckhorn for providing one of the tastiest meals this year! 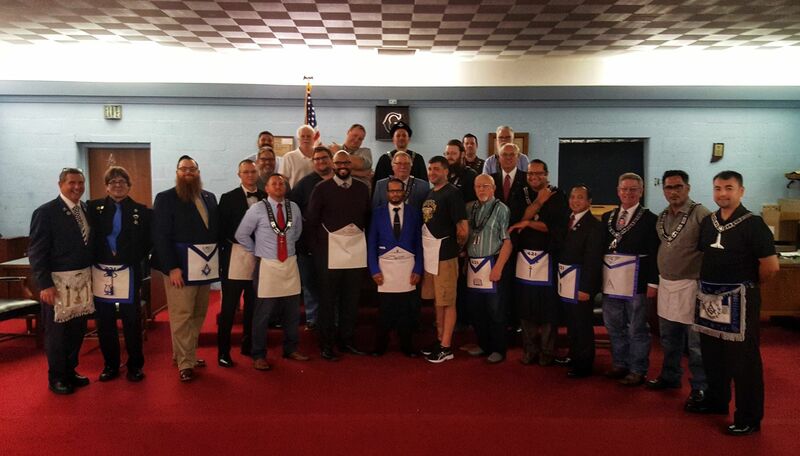 Also a big welcome to our brothers who visited from Hamilton #533! WM Brandon Schultz was so proud of his lodge working together and performing an excellent degree. Good work gentlemen! Not visited another lodge lately? You’re missing out! 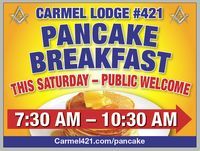 View the Carmel #421 Trestle Board to find out what #421 is doing next.